So many of our gifted boys aren’t accepted for who they are wired to be. As one’s self is rejected over and over, anger and despair begin to grow. And, many of our boys will mask despair with anger. The motivation and character of our gifted kids is often doubted and questioned. The motivation and character of us as parents of gifted kids is often doubted and questioned. And why are gifted kids and parents doubted? Because anti-intellectualism keeps us from talking about the multiple factors of giftedness. If you’ve read the Bloggy Bit or listened to the Talky Bit, you understand that we here at the Fringy Bit detest anti-intellectualism. 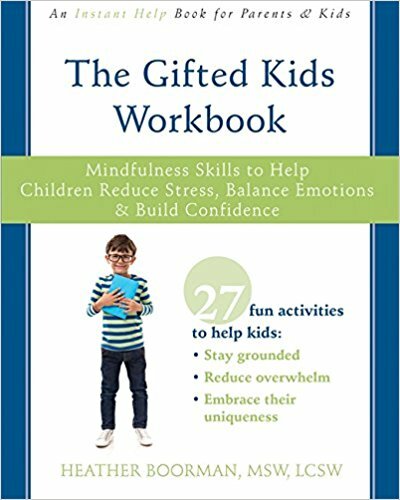 We have many reasons for this, and perhaps we’ll dive into those more over the next few weeks, but my biggest grudge with the anti-intellectual-don’t-you-dare-call-your-child-gifted-and-expect-that-she-should-get-“special”-treatment sentiment is the assertion that advocating for gifted kids and adults is somehow elitist. Essentially the argument boils down to the idea that kids shouldn’t be identified as gifted because it somehow means they are better than the other kids. Providing gifted services and labeling kids as gifted only makes them feel more full of themselves and makes other kids feel inferior. First of all, identifying a difference doesn’t presume superiority or inferiority. Difference isn’t better or worse, it is simply different. Second of all, and most importantly, if you peel back the layers of almost any gifted kid (and you generally don’t have to peel very far), you’ll find they are the opposite of elitist. They are far less full of themselves than you presume. Now, I am not basing this on studies or scientific observation, merely my own qualitative “data” and experience. Granted, my observations might be a bit skewed. I’m a therapist, so generally I see people who are struggling with their well-being. But, outside of the therapy offices, my observations of gifted individuals around me remains the same: gifted kids and youth are some of the most insecure kids I know. None of the gifted kids I talk to feel like they fit in. They all feel insecure about their own intelligence in one way or another. I have kids tell me they honestly believe they are from another planet because they are so drastically different from everyone else. They feel lonely, anxious, misunderstood, and lacking genuine confidence. They try so hard to fit in with other people and in the process, lose their grounding and security in themselves. Does this sound elitist? Third of all, and most ironically, the fact that this anti-intellectualism, perceived elitism exists, actually contributes to the irritating precociousness that the argument is based on in the first place. Yes, there are plenty of precocious gifted kids out there desperate to show everyone what they know. Yes, this can give off the air of superiority. But, lets peel back a layer again, and what we’ll find is insecurity. Truly confident and secure and self-compassionate people do not need to prove themselves. They do not need to show off. They do not need to brag about accomplishments or test scores or demonstrate their knowledge or intelligence or any other skill. They may choose to share their knowledge or skills, but when they do, a truly confident person is able to do so in a way that is not arrogant or in your face. Truly confident people have a calm steadiness to them, in which they highlight the gifts of others and genuinely share their own gifts for the betterment of the situation. Maintaining this anti-intellectual bias, putting down our bright kids and misunderstanding who they are and how they are wired, contributes to their isolation. It contributes to them not getting their needs met. It contributes to their insecurity. Some insecure gifted kids, will then try harder to prove themselves in order to fit in or gain praise or pretend that their feelings aren’t hurt by being left out. Some insecure gifted kids will put on the air of superiority because it defends against the insecure painful mess that exists internally. Some insecure gifted kids will feel the anger of anti-intellectualism and will fight back with overly highlighting their intellect in an attempt to make a point. And all of these will add fodder to the complaint that giftedness is simply elitist and therefore shouldn’t exist. What a circular disaster. The nice thing about circular disasters is that we can, at any point in the circle, stop it. We can take a detour out of the cycle and establish a new way. We can build up kids instead of tear them down. We can genuinely assert that difference is simply different. We can stop worrying about who feels elite and focus on how to help people feel whole and well. So, carry on being an anti-intellectualist if you’d like, but please . . . PLEASE . . . don’t do so on the false belief that gifted people think they are better than everyone else. This post is part of an anti-intellectualism series on The Fringy Bit. Check out the other articles in the series here. I am so very tired of the anti-intellectualism that runs rampant in this country. We pride ourselves in America’s inventions and productivity and individualism, but we attack the individuals who actually embody all of these things.